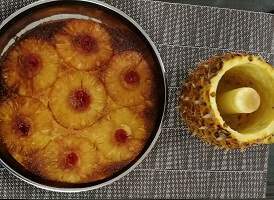 The best pineapple upside down cake recipe is a very different type of cake with its ingredient, texture, and flavor. 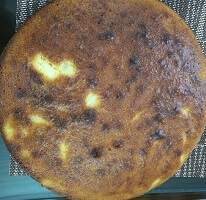 This is a purely indigenous method of cake, the taste of which you will remember for quite some years. 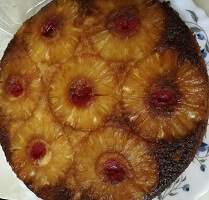 Pineapple rings that are put at the bottom of the cake mold appear on top of the cake while you upside down the cake after removing from the mold. For this reason, the name of this cake is given as pineapple upside down cake. Some people don’t like to eat pineapple as they are afraid of its allergic reaction. 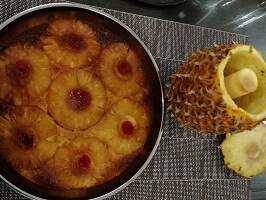 But, if you are not hyper sensitive to pineapple, this cake will not only remove your fear of pineapple allergy but also you may start loving this tasty fruit. 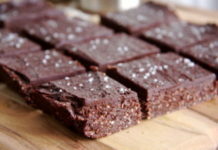 As this cake needs no decoration after removing from the cake mold, it makes your job easy. 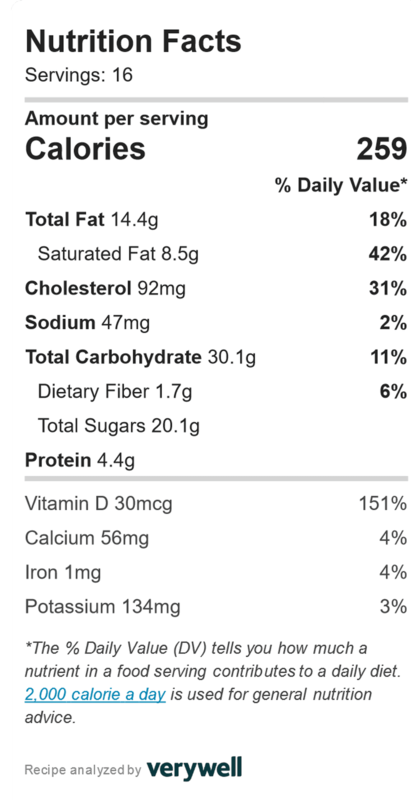 If you can slice the pineapple rings as described in the method, you can try for this recipe right away. Take a big pineapple and peel the pineapple nicely. Remove the hard part of the pineapple from the center and then slice diagonally into ½ inch thick round shaped. 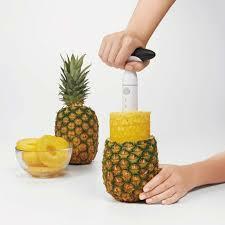 You can use Pineapple corer for slicing pineapple. The round slices will look like rings. Boil the pineapple slices with 2 tsp sugar for 5-10 minutes. Remove the slices from water and squeeze with palm to remove extra water from within the pineapple slices. You can use tinned pineapple slices, if you don’t find a fresh pineapple. Take another piece pineapple slice and cut into julienne. Then Keep aside. 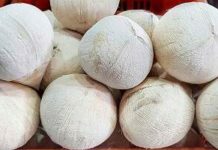 Take a round or square shape mold. Grease the mold with melted butter. Spread brown sugar over the butter. 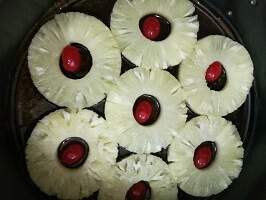 Cover the bottom part of the mold with the pineapple rings. 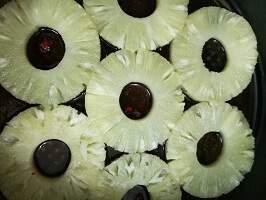 Put half of the cherries upside down in the center of the pineapple rings. Take a deep bowl and put butter and sugar. Mix butter and sugar smoothly. Add egg one by one to the butter mixture. Add vanilla essence slowly to the mixture. Mix flour, corn flour, baking powder, and milk powder altogether and sieve with a sifter. Add the flour mixture to the egg mixture slowly. Add pineapple Julian slices to the mixture. Tips: After adding the egg it may look like curd. You can add some milk powder to the egg mixture. Preheat the oven at 200⁰c for 10 minutes. Put the cake mixture into the mold. Put the mold into the middle rack of the oven. Bake the cake at 160⁰-180⁰c for 25-30 minutes. Pit a clean stick into the cake after 25 minutes. When the stick comes out clear then switch off the oven. Wait until cooling down the cake. Then upside down the cake carefully in a flat dish. I love to cook and like to share my delicious recipes with my beloved friends. 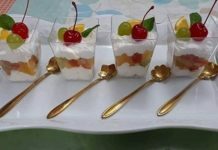 If you like me the best pineapple upside down cake recipe with your family and friends.